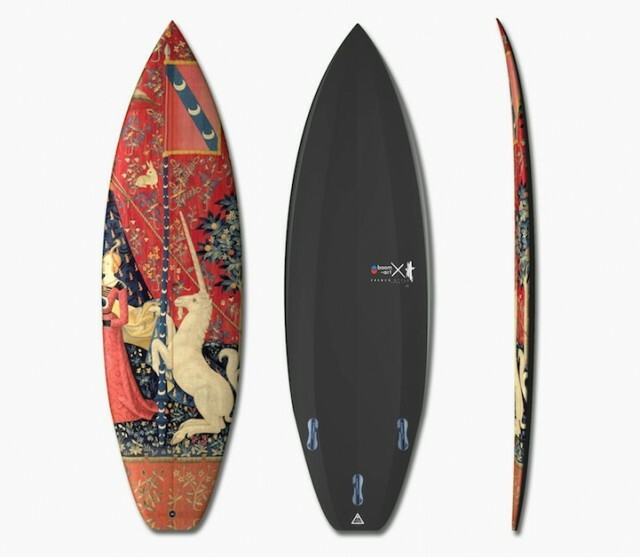 French designer Boom Art had the good idea to mix surfboard and classical art of the 15th century. 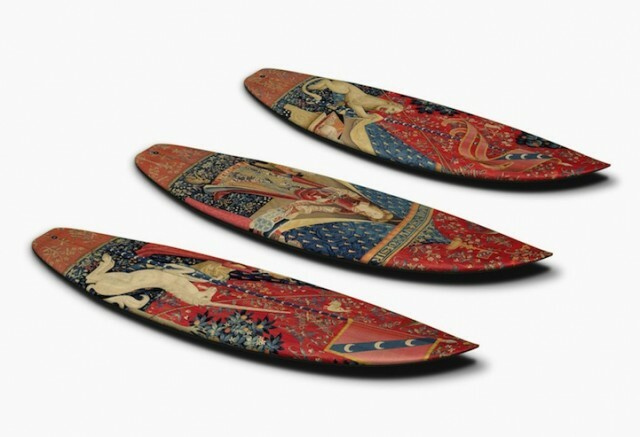 This unexpected mix created the design of two boards. 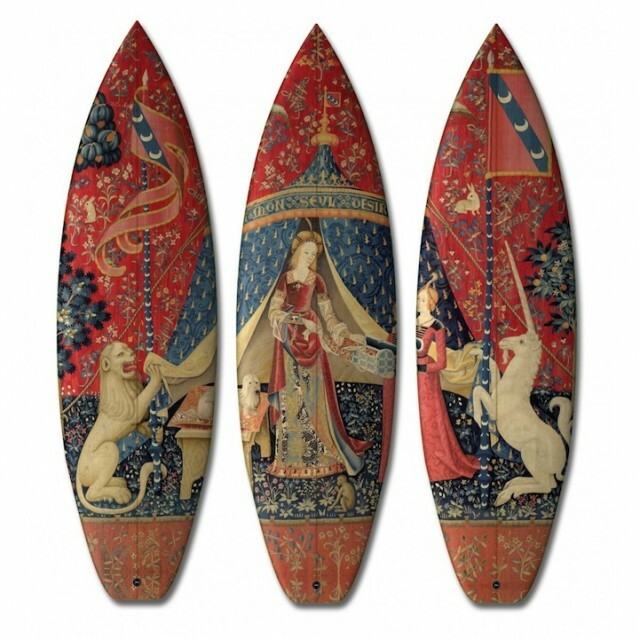 One compound with the Dutch tapestry The Lady and the Unicorn and the other with The Garden of Earthly Delights by Jérôme Bosch. To discover.